Sanders Capital, LLC is a global investment manager with over $25 billion in assets under management serving institutional and high net-worth investors. It is led by individuals with many decades of experience in investment research and value-oriented portfolio management disciplines. I believe sustained success in this business is about character. Asset managers are fiduciaries. As such, their clients' interests must precede all else. The truly great, enduring firms in this industry are run by people who live this principle every day. Financial incentives need to align the interests of asset managers to their clients without asymmetries. Managers should share in both the upside and the downside. For maximum alignment, managers must have sufficient "skin in the game." 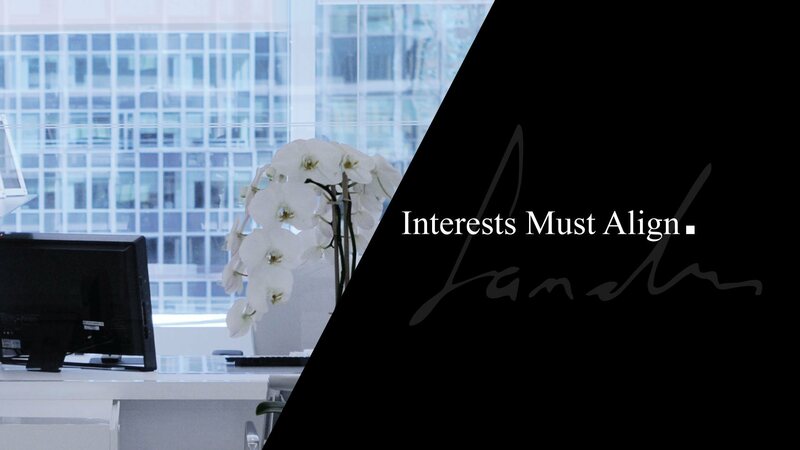 Restrictions on outside investments are also key, as they ensure client interests receive undivided attention. Bouts of excessive optimism and despair characterize capital markets and are a primary source of wealth destruction. Knowledge, through research, converts these extremes from threat to opportunity. Knowledge provides the basis to do the unpopular, and the unpopular is almost always the most profitable. Much is written about success in this business. Too often it is attributed to brilliance—such as seeing and capitalizing on some profound change early. Intelligence of this kind helps. But sustained success has more to do with temperament. It is about responding dispassionately and deliberately to change, especially unanticipated change, which is what occurs most often. In this context, equanimity and humility trump brilliance and are an antidote to over-confidence and excessive risk taking. While unusual opportunity is occasional, risk is continual. If you are not being paid adequately to take on risk, which can be for long stretches, resist the temptation to do so. Building a firm based on these tenets does not ensure success. Nothing does. But in my experience, it improves the odds. This is the foundation of Sanders Capital. We will remain a private, focused, client-centric firm, where knowledge is prized and viewed as our competitive advantage. I am energized to lead this firm. 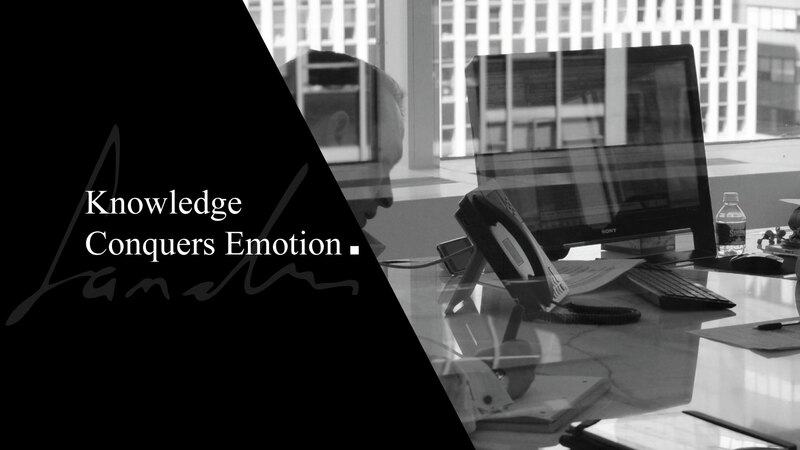 At Sanders Capital, we believe that investors systematically overreact to adversity. This behavioral bias (known as loss aversion) unduly depresses asset prices, thereby, producing investments with above-average returns. Adversity may be company specific or span entire industries or asset classes. The objective of Sanders Capital investment research is to identify assets subject to such pressures, especially where the adverse event will prove transitory. It is in that subset of investments where we uncover unique opportunity. We analyze the full spectrum of opportunities generated by an event across multiple asset classes. This methodology greatly improves research insight and enhances our ability to trade off risk and return. We are investors not traders. The holding period of investments in our portfolios will likely average around three years, about the time it takes for most dislocations to find resolution. For clients with fixed asset allocation policies, we offer Global and U.S. Value Equity portfolios. Driven by our overall research and portfolio management disciplines, these portfolios benefit from the firm’s all asset research orientation, which we believe produces superior forecasts at the asset class level. This occurs especially during times of stress, when the equity portion of a company’s capital structure can be compromised to resolve financing requirements. Opposite effects are common during robust periods, when corporate actions favor equity holders over lenders. In these services, we exploit value opportunities across multiple asset classes in a single portfolio. Investment objectives of these portfolios are to generate attractive, absolute returns, while conforming to specified, absolute volatility targets. Targets range from low (comparable to bonds of short duration) to moderate (similar to the bond market overall) to high (comparable to equities). Portfolios are managed to achieve absolute returns at or above these volatility targets. These portfolios are contained in an All Asset Value Portfolio Series, offered by private placement memorandum. Sanders Capital’s research teams screen the investment universe for securities or assets where the expected internal return meets or exceeds return targets of the services. Such forecasts are supported by extensive field research and disciplined valuation processes. The conversion of all forecasts to the common language of expected return enables comparisons of investments across the capital stack of corporate issuers and all other asset classes. A present value modeling framework for common stocks that compares estimates of future free cash flow to current stock prices to compute expected returns. It then compares such returns to a broad universe of companies and establishes both absolute and relative views of return potential. A fixed income cash flow modeling framework that compares market prices to predictions of loan performance to compute expected returns. Such returns take into account the idiosyncratic features of deal structure (conversion features, pre-payment options, etc.) and the cash flow pathways triggered by defaults and other factors. Economic modeling at the global and national level. Models predict broad trends in corporate profits as well as supply and demand for real assets near and long term. Surveillance systems to track predictions versus actual results. Quantitative factors that correlate with future stock and bond returns facilitate screening for opportunities, timing of purchases and sales and sizing of positions. They also signal forecasting error, useful in research review. Still, such tools are adjunctive to the portfolio management process. All investments must qualify on fundamental grounds. The inputs that drive these investment processes are subject to intensive research review and quality assurance by the funds’ Chief Investment Officers and Director of Research, in collaboration with both internal and external research analysts. Our portfolio construction process aims to maximize risk-adjusted returns by rank ordering investment options among qualifying investments according to expected return. We systematically assess these opportunities against estimates of absolute volatility and co-variance. Position weights among qualifying investments are set to maximize expected return for a given level of volatility as measured against the portfolio’s return benchmark. Lewis A. Sanders is the founder, CEO, and Co-CIO of Sanders Capital, LLC. 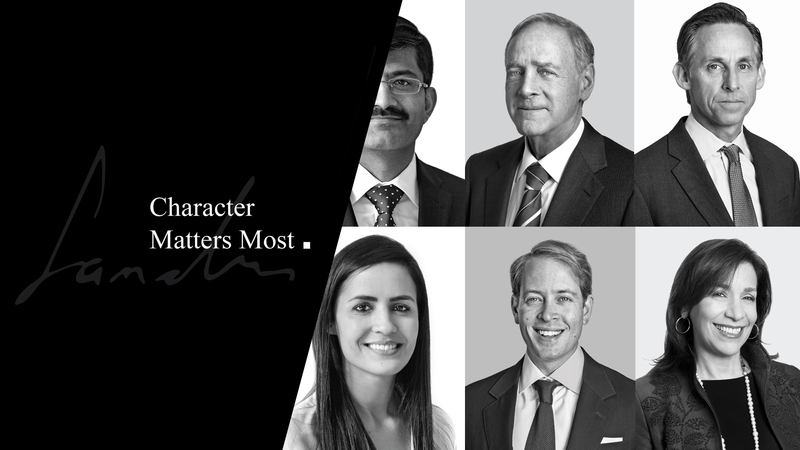 Mr. Sanders was the former Chairman & CEO (2005-2008) and CEO (2003-2005) of AllianceBernstein L.P. He served as Vice Chairman and CIO from (2000-2003), when Alliance Capital merged with Sanford C. Bernstein & Co., Inc. Prior to that Mr. Sanders was the Chairman and CEO of Sanford C. Bernstein & Co., Inc. (1993-2000). In his 32 years at Bernstein, Mr. Sanders was also the President and COO, with senior responsibility for all research and investment management operations (1981-1993) EVP of research and investment management (1979-1981) and Research Director (1972-1981). Mr. Sanders joined Bernstein in 1968 as a Research Analyst, establishing credentials that would lead to his being named to the Institutional Investor All-America Research team four times. Before joining Bernstein, he was a Research Assistant at Oppenheimer Co. for two years. 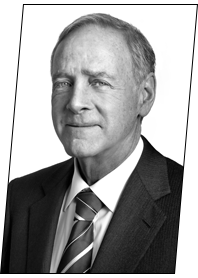 Mr. Sanders serves as a board member of Memorial Sloan-Kettering Cancer Center and Weill Cornell Medicine; and as a trustee of The Rockefeller University, The Aspen Art Museum, and The Aspen Institute. 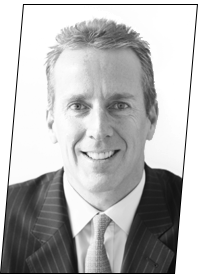 John P. Mahedy is the Co-CIO and Research Director at Sanders Capital, LLC. Mr. Mahedy previously served as CIO of U.S. Value Equities at AllianceBernstein L.P. in 2009 and was Co-CIO (2003-2009). He also served as AllianceBernstein’s Director of Research for U.S. Value Equities (2001-2008). Prior to that Mr. Mahedy was a senior research analyst at Sanford C. Bernstein & Co., Inc.’s institutional research and brokerage unit covering the domestic and international energy industry (1995-2001) and the oil services industry (1988-1991). He also covered oil services at Morgan Stanley (1991-1995). Mr. Mahedy was ranked among the top-five oil analysts in the Reuters and Greenwich Associates polls in 1999 and 2000. He was named to the Institutional Investor All-America Research Team in 1993, 1994 and 1995. Mr. Mahedy began his career as a senior auditor with Peat Marwick Main & Co.
Frank D. Speno is the Director of Marketing & Client Service at Sanders Capital, LLC. 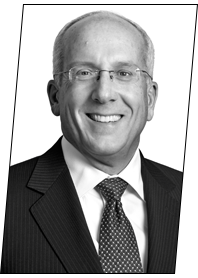 Prior to joining Sanders Capital, he held several senior roles in distribution and product management at AllianceBernstein L.P. in the years 2000–2009. Mr. Speno’s roles at AllianceBernstein included: Executive VP of AllianceBernstein’s All Asset Deep Value Fund; Executive VP of Global Consultant Relations; Executive VP of Global Retail Distribution; Senior VP of Institutional Marketing; and Product Manager for Bernstein Value Equity. Mr. Speno began his career at Sanford C. Bernstein & Co., Inc. in 1995 as a Director of Consultant Relations and was promoted to manage the firm’s West coast client and business development efforts. Prior to joining Sanford C. Bernstein & Co., Inc., Mr. Speno spent five years as a Regional Director for ANB Investment Management in Chicago, served as a Marketing Director for Quaker Capital Management and worked with E.F. Hutton & Co. in its Capital Markets program. Michael T. Borgia is the CFO and Head of Operations at Sanders Capital, LLC. 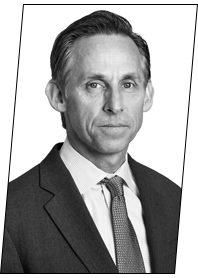 Prior to joining Sanders Capital, he was co-Head of Global Operations for AllianceBernstein L.P.(2001-2008). Previously, Mr. Borgia served as the Head of Operations (1992-2001), Head of Investment Management Operations (1981-1991) and Operations Manager (1978-1980) at Sanford C. Bernstein & Co., Inc. He began his career as a Senior Accountant at Seidman & Seidman. Mr. Borgia currently serves on the board of the Boys & Girls Club of Oyster Bay-East Norwich. 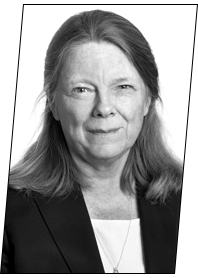 Jean Margo Reid is the General Counsel and Chief Compliance Officer at Sanders Capital, LLC. Prior to joining Sanders Capital, she was an independent director of the BlackRock Inc. Equity-Bond Funds (2006-2009) and an independent director of the Merrill Lynch Investment Management Funds, Cluster B, (2004-2006). 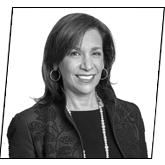 Prior to that, Ms. Reid served as General Counsel, Secretary and Director (1997-2000), Associate General Counsel (1992-1996) and Attorney (1988-1992) at Sanford C. Bernstein & Co., Inc.
Before joining Bernstein, she taught Business Law at New York University’s School of Business as an Assistant Professor of Business Law (1981-1988). Ms. Reid is a Trustee of the New York Historical Society. 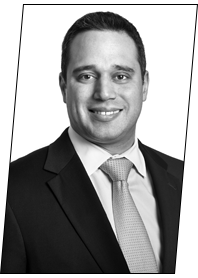 Alex Shabshis is the Director of Quantitative Analysis at Sanders Capital, LLC. Prior to that position Sanders Capital, he served as Co-Head of Product Development of the Alternative Investments unit at AllianceBernstein L.P. (2007-2009). Prior to that position, Mr. Shabshis was a senior quantitative research analyst at AllianceBernstein (2000-2006) and Sanford C. Bernstein & Co., Inc. (1995-2000), leading and contributing to the development of forecasting models and multi-asset portfolio construction techniques for a wide spectrum of asset classes, including global equities, currencies, commodities, and fixed income. 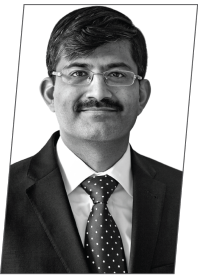 Previously, Mr. Shabshis was a quantitative analyst at Sanford C. Bernstein & Co., Inc. (1992-1994). He began his career at Sanford C. Bernstein & Co., Inc. in 1988, shortly after graduating from The Cooper Union. Avinash Agarwal is a Research Analyst at Sanders Capital, LLC. Prior to joining Sanders Capital in 2012, Mr. Agarwal was an equity research analyst at AllianceBernstein L.P. (2006-2012) whose coverage area included the global automotive industry as well as the industrial and consumer sectors. Prior to joining AllianceBernstein, Mr. Agarwal was a Principal at Booz & Co. (2004-2005) where he provided management consulting services to clients across a broad range of industries. 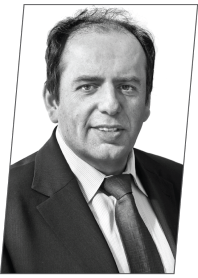 Prior to that position, he held various roles of increasing responsibility at Booz & Co. from 2000-2004. He began his career as a consultant in Booz Allen Hamilton’s Mumbai offices (1998-2000) where he worked on consulting engagements for clients in both private and public sectors. 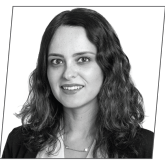 Tali Asias is a Research Analyst at Sanders Capital, LLC. 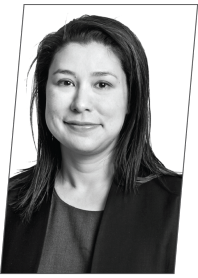 Prior to joining Sanders Capital in 2009, Ms. Asias was an Associate in the Restructuring Advisory division at Citadel Investment Group (2009). From 2004-2007, Ms. Asias was an Investment Banking Analyst within the Financial Sponsors Group at Wachovia Securities where she executed M&A’s and capital-raising transactions on behalf of private equity clients. Prior to that, Ms. Asias was a Consular Services Officer at the General Consulate of Israel (2000-2003). Ms. Asias also held the post of Sergeant in the Ministry of Defense, a unit of the Israel Defense Forces from 1997-1999. Dr. Di Cai is a Research Analyst at Sanders Capital, LLC. Prior to joining Sanders Capital in 2013, Dr. Cai was a Summer Associate with Kleiner Perkins (2012) where she was part of the China team focused on healthcare investment. She subsequently worked as a Sumer Associate with The Carlyle Group in their Asia Growth Equity Team in Beijing (2012). From 2009-2011, Dr. Cai worked as a Senior Scientist and Lab Manager at The Scripps Research Institute where she led a team to investigate personalized medicine in lung cancer treatment. From 2005-2009, Dr. Cai was a Research Scientist at the University of Texas Southwestern Medical Center where she discovered a novel biomarker for lung cancer prognosis. Prior to her scientific career, Dr. Cai was a presenter on the Tianjin TV Network, the fourth largest TV Network in China, co-hosting a bilingual talk show to promote English learning and cultural exchange. Brix Dillman is a Research Analyst at Sanders Capital, LLC. Prior to joining Sanders Capital in 2009, Mr. Dillman was a Valuation Consultant at The World Bank (2008-2009) where he was responsible for risk management of foreign currency and interest rate derivatives. Prior to joining The World Bank, Mr. Dillman was Fleet Portfolio Manager at GATX Corporation (2006-2008) where he developed and implemented financial models covering four areas: railcar investment and lease pricing, commodity supply-demand forecasts, strategic equity investments and direct asset management. From 2004-2005, Mr. Dillman was an Investment Analyst at Regis Management Company, LLC (CA) where he sourced, screened and monitored investments for a private family asset management firm. Prior to that, Mr. Dillman was a Technology M&A Analyst at Credit Suisse (2002) where he analyzed mergers for global technology manufacturing and service leaders. From 2001-2002, Mr. Dillman worked in Thailand as a Restructuring Associate focused on divestitures and the capital restructuring of large corporations. Mr. Dillman is a CFA® charterholder. 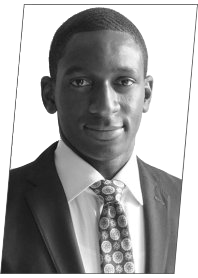 Daniel Eguche is a Research Associate at Sanders Capital, LLC. Prior to joining Sanders Capital in 2017, Mr. Eguche was a Principal at The Compass Group (2012-2017) where he was responsible for managing a startup frontier markets-focused fund. Prior to joining The Compass Group, Mr. Eguche was an Equity Research Associate at Susquehanna International Group (2010-2012) where his area of focus was the oilfield services sector. From 2009-2010, Mr. Eguche was a Private Equity Associate at EEA Fund Management where he helped manage a fund focused on renewable energy investments. He began his career as an Investment Banking Analyst at Credit Suisse where he worked in the Global Energy Group from 2006-2009. Mr. Eguche is a CFA® charterholder. 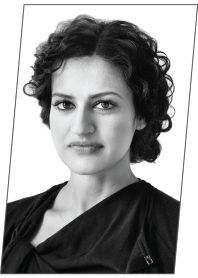 Monali Jhaveri-Weeks is a Research Analyst at Sanders Capital, LLC. Prior to joining Sanders Capital in 2011, Ms. Jhaveri-Weeks was with McKinsey & Company as a Senior Associate (2009) and a Business Analyst (2005-2007). While at McKinsey & Co., she focused on growth strategy and M&A initiatives on behalf of Indian, Brazilian and UK-based companies in the financial services, retail, and public sectors. Prior to McKinsey and Co., Ms. Jhaveri-Weeks was a Financial Analyst at Morgan Stanley in the Firm Strategy & Execution Group (2003-2005) where she evaluated M&A opportunities and developed strategic initiatives across the company’s business units. 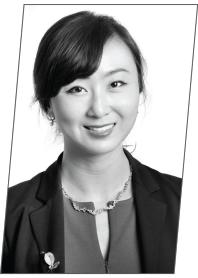 Debbie Lau is a Research Analyst at Sanders Capital, LLC. Prior to joining Sanders Capital in 2011, Ms. Lau was with Chilton Investment Company where she was an Equity Research Analyst (2007-2011) focusing on long-short equity investments within the U.S. construction materials, homebuilding, waste management, specialty chemicals and consumer products sectors. Ms. Lau is a CFA® charterholder. 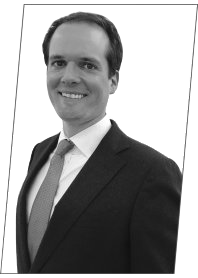 Alexander Mahedy is a Jr. Research Associate at Sanders Capital, LLC. 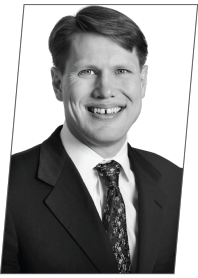 Prior to joining Sanders Capital in 2018, Mr. Mahedy attended Colgate University (2014-2018). Throughout his attendance, he worked at Tesla Motors (2014-2017) where he managed the upstate New York region and the East Hampton, New York store. In 2012 and 2013, Mr. Mahedy spent his summer as a Research Assistant at the University of Toronto’s Dynamic Graphics Project lab, where he focused on high performance touch displays and notification optimization. Edward Reynolds is a Research Associate at Sanders Capital, LLC. 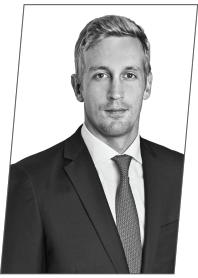 Prior to joining Sanders Capital in 2017, Mr. Reynolds was a Summer Associate at both BlackRock and Cowen & Co. covering the global automotive and surface transportation sectors, respectively. Prior to that, Mr. Reynolds was an Associate at Citadel Execution Services (2009-2014). Mr. Reynolds served as an officer in the U.S. Army from 2006-2009. Steven Sanders is a Research Analyst at Sanders Capital, LLC. Prior to joining Sanders Capital in 2009, Mr. Sanders was a Strategist & Transition Manager with Bank of America Merrill’s Global Wealth Management Division (2008-2009). Prior to that, Mr. Sanders served as a Senior Specialist on Merrill Lynch’s Global Wealth Management Strategy & Business Development team (2006-2008) and on the Sell-Side Research Strategy team (2008) as an internal consultant and principal banker for the firm. *Note: Mr. Sanders is on a sabbatical from Sanders Capital, LLC, pursuing a technology venture. 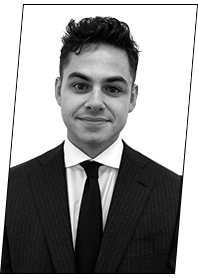 Jonny Wright is a Research Analyst at Sanders Capital, LLC. Prior to joining Sanders Capital in 2016, Mr. Wright held a number of positions with Nomura Securities (2011–2016) before becoming a senior research analyst responsible for coverage of U.S. Multi-Industrials. Prior to Nomura, Mr. Wright participated in Ernst & Young’s corporate finance graduate program in London (2008–2011) where he qualified as a Chartered Accountant. Mr. Wright is a CFA® charterholder. Frank M. Castellucci is the Head of Trading at Sanders Capital, LLC. 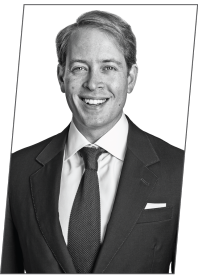 Prior to joining Sanders Capital in 2009, Mr. Castellucci was an Assistant Vice President of Client Reporting at AllianceBernstein L.P. (2008-2009). Prior to that position Mr. Castellucci served as the Manager of High-Net-Worth Reporting (2007-2008), Manager of Global Reporting (2005-2008) and Global Reporting Analyst (2004-2005) for AllianceBernstein. Kapa Benjamin is the Assistant Office Manager & Executive Assistant to Co-CIO/Research Director & Director of Marketing/Client Services. Before joining Sanders Capital at its inception, she was the Assistant to John Mahedy, Co-CIO of U.S Value Equities, AllianceBernstein (2004 – 2009). Prior to that, Ms. Benjamin worked at Proskauer Rose LLP as a Human Resources Assistant (2000 – 2004). 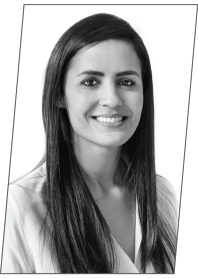 Christina Restivo is the Office Manager and Executive Administrator to the CEO. 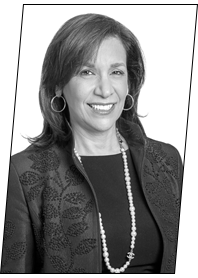 Ms. Restivo has over 30 years of experience assisting C-Level executives in the finance and global investment industry. Before joining Sanders Capital at its inception, she was an Assistant Vice President and the Executive Assistant to Lewis Sanders, Chairman & CEO, AllianceBernstein (2005 – 2008); Executive Assistant to Roger Hertog, President of Sanford C. Bernstein & Vice-Chairman, AllianceBernstein (1999 – 2005); and an Executive Assistant to Zalman Bernstein, Chairman & Founder of Sanford C. Bernstein (1990 -1999). Prior to that, Ms. Restivo worked at Exxon Corporation for many years culminating as Executive Office Administrator to the Corporate Secretary (1989-1990). NOTE : All Principals are entitled to share in the firm’s profits.